Avery Elle Clear Stamps PEEK A BOO PALS ST-18-22 at Simon Says STAMP! ST-18-22 This item is on reserve until If you would like to reserve this item now, you may purchase it now with the rest of your order. We will hold your order now and ship your entire order as soon as this item is back into stock. If you would like your order to ship now, please place this item on a separate order. 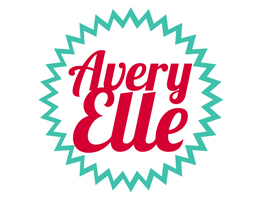 Success, Avery Elle Clear Stamps PEEK A BOO PALS ST-18-22 has been shared! Like Avery Elle's other pals stamps, the Peek-A-Boo Pals stamp set is just adorable. Create fun invitations, thank you cards, birthday cards and more! 35 total stamps. Koala stamp measures: 1 1/4 x 1 1/8 inch; elephant stamp measures: 1 11/16 x 1 3/8 inch; couldn't resist telling you sentiment measures: 2 3/8 x 3/16 inch. Exclusive clear stamps are proudly made in the USA. this is a 4x6 inch clear stamp set. Coordinating dies sold separately.